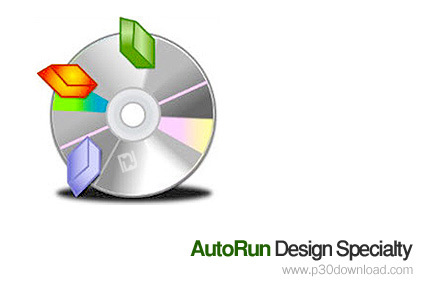 AutoRun Design Specialty is a useful andpowerful visual tool that can create professional autorun(autoplay) interfaces and presentations for your CD/DVDs. It is theeasiest way to create, edit professional autorun (autoplay)interface and generate autorun files for CD/DVDs in a WYSIWYGenvironment, just click, point, place and test (preview). So all isvisual, fast, simple. AutoRun Design Specialty is easy to learn,with demos and wizards you can get started in just minutes! Main Page, Splash Screen, Screen Background, Agreement Form,Security Form, Exit Form and unlimited Sub Pages. Page Shadow, PageFadeIn and FadeOut, and many effects. – Play (only support the objects of mediaplaye and slideshow )(Play an multimedia file such as an MID, AVI, MPG, audio format orany other multimedia type whose player supports the Play shellcommand. – Stop (only support the objects of mediaplaye and slideshow )(MediPlayer Stops playing or recording. – Pause (only support the objects of mediaplaye and slideshow )(MediaPlayer Pauses playing or recording. 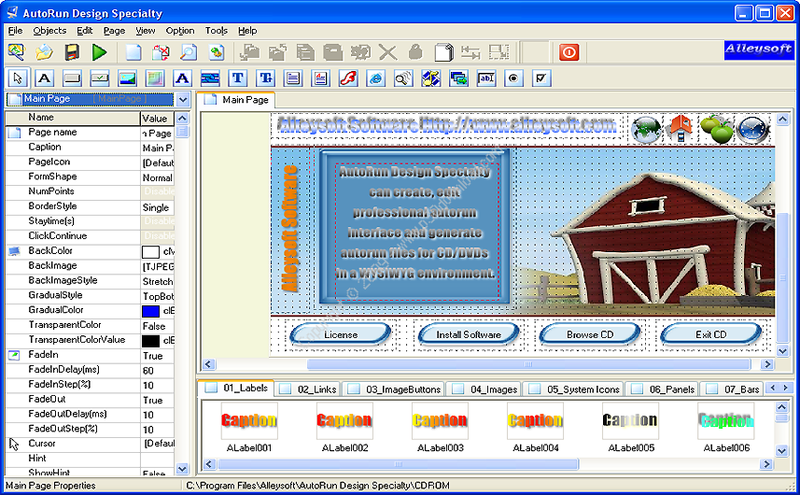 – Next (only support the objects of mediaplaye and slideshow )(Enters quickly an multimedia file . – First/Back (only support the objects of mediaplaye and slideshow) (First/Back an multimedia file such as an MID, AVI, MPG, audioformat or any other multimedia type whose player supports the Playshell command. – Last/Step (only support the objects of mediaplaye and slideshow )(Last/Step an multimedia file such as an MID, AVI, MPG, audioformat or any other multimedia type whose player supports the Playshell command. – New AutoRun Step by Step. – Set the title of your project and use custom hint. – Use you custom ico for you project.